California’s heat waves are going to be getting longer and hotter in the coming decades, according to a new climate modeling study commissioned by the California Air Resources Board (CARB) and the EPA. The authors predict that heat-related deaths among California’s 65-and-over population could spike more than nine-fold by 2090. 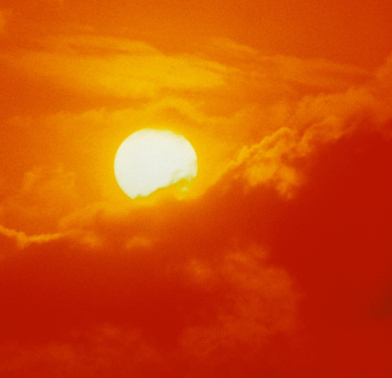 According to the study, currently more than 500 elderly people die annually from heat-related causes. Using IPCC climate projections, the study models how climate change will impact California up and down the coast, including coastal cities like San Francisco and inland cities such as Riverside and Fresno. Lead author Scott Sheridan, a geographer at Kent State University, says that the projected increase in heat-related deaths among those 65 and over are due in part to physiological reasons, but also to growing population size of this age group. By the end of the century, he says, the state’s population of people in this age bracket will increase from 4 million to 15.7 million. Sheridan says California communities that are already used to dealing with hotter temperatures, like the inland city of Fresno, may be better prepared to deal with the heat than relatively cooler coastal cities. “On a hot 90-degree day in Riverside, everyone has the AC running. In San Francisco, not everyone has that luxury.” says Sheridan. 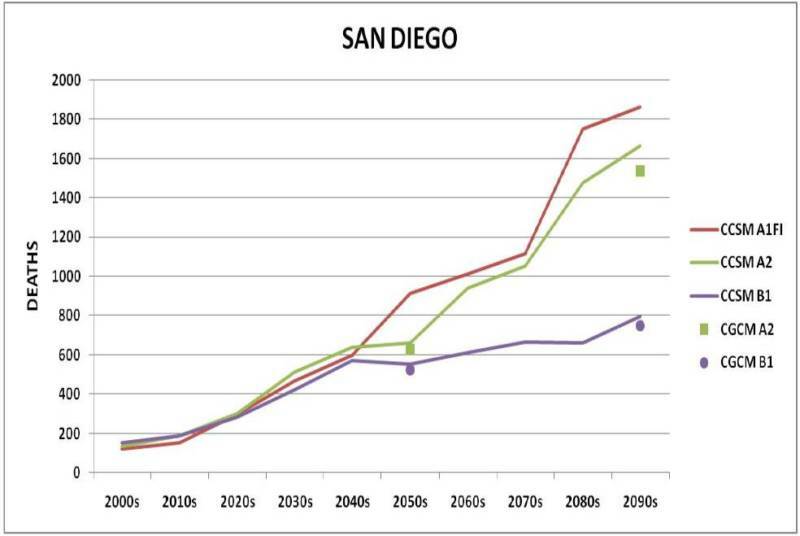 Sheridan says that heat-related deaths are projected to go up more in coastal cities like San Diego than in inland cities because people on the coast may be less acclimatized to extreme heat and the cities themselves may lack the preparation to deal with the public health consequences of lengthy, intense heat waves. “People that are acclimatized to warmer temperatures have a greater threshold for heat.” says Sheridan. CARB spokesperson Dimitri Stanich says the study could lead to more local health policies in cities that are more vulnerable. “Previously studies have focused on a macro approach to heat impacts but couldn’t specify impacts on California cities.” says Stanich. Sheridan says one potential model for California cities is Philadelphia. The health department there helped residents get fans, and it developed a buddy system to for neighbors to keep in touch during hot days. Philadelphia also has 60 cooling stations running during the summer, which can be found using this interactive map developed by the city’s Office of Emergency Management. To see how temperatures are expected change in your region of California, check out the interactive Cal-Adapt tool from the California Energy Commission.